​Nelson Mandela's release from prison in February 1990 was one of the most memorable moments of recent decades. It came a few days after the removal of the ban on the African National Congress (ANC); founded a century ago and outlawed in 1960, it had transferred its headquarters abroad and opened what it termed an External Mission. For the thirty years following its banning, the ANC had fought relentlessly against the apartheid state. Finally voted into office in 1994, the ANC today regards its armed struggle as the central plank of its legitimacy. External Mission is the first study of the ANC's period in exile, based on a full range of sources in southern Africa and Europe. 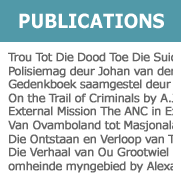 These include the ANC's own archives and also those of the Stasi, the East German ministry that trained the ANC's security personnel. 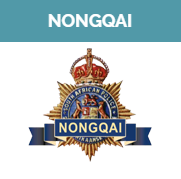 It reveals that the decision to create the Umkhonto we Sizwe (Spear of the Nation) -- guerrilla army which later became the ANC's armed wing -- as made not by the ANC but by its allies in the South African Communist Party after negotiations with Chinese leader Mao Zedong. In this impressive work, Ellis shows that many of the strategic decisions made, and many of the political issues that arose during the course of that protracted armed struggle, had a lasting effect on South Africa, shaping its society even up to the present day. Stephen Ellis, the British historian who wrote extensively about Africa and particularly about South Africa, died of leukaemia at his home in Amsterdam on July 29, aged 62. He was the Desmond Tutu Professor of Social Sciences at the Vrije Universiteit in Amsterdam when he died. 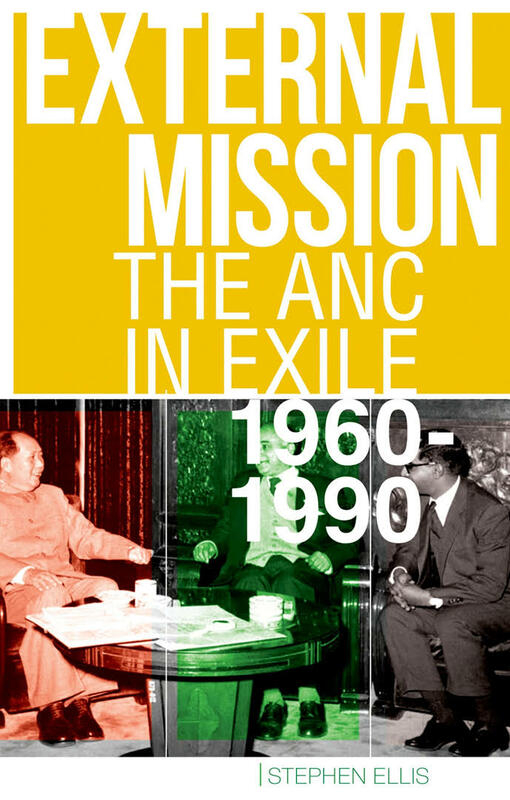 Ellis’s most recent book, External Mission: The ANC in Exile 1960-1990, was published by Jonathan Ball in South Africa in November 2012, reigniting the debate about Nelson Mandela’s membership of the South African Communist Party (SACP). Ellis grew up in Nottingham in the United Kingdom and studied at Oxford University. He worked as a lecturer at the University of Madagascar in the late 1970s and early 1980s, publishing his account of an uprising there as Rising of the Red Shawls (Cambridge University Press, 1985). 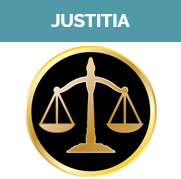 He headed the African sub-region of the International Secretariat of Amnesty International in London and was the Africa specialist of the International Crisis Group. As editor of the subscription journal Africa Confidential in the late 1980s, he reported the first account of the Umhonto weSizwe (MK) mutiny in Angola in 1984, based on inside information. He was subsequently editor of the British journal, African Affairs. 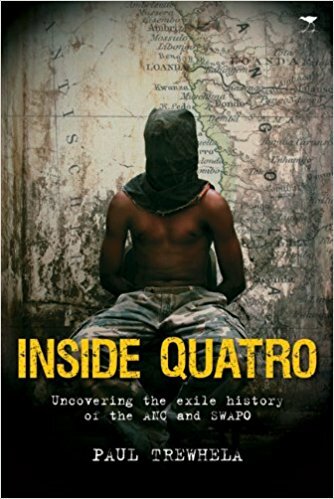 Ellis’s 1992 work, Comrades Against Apartheid: The ANC and the South African Communist Party in Exile, was the first book to report on the MK mutiny in Angola in 1984, its Quatro prison camp and the dreaded ANC security department, Mbokodo. The accuracy of Ellis’s work was confirmed by the final report of the Truth and Reconciliation Commission in 1998. Africa Now, developed out of Ellis’s involvement with the Global Coalition for Africa, and was published in 1996. He first worked at Leiden University’s African Studies Centre (ASC) in the early 1990s and continued to hold a position there until his death. Ellis conducted research in the Stasi archives in Berlin in the former German Democratic Republic together with his wife, the Dutch scholar, Gerrie ter Haar and two South African scholars, Loammi Wolf and Paul Trewhela, which brought to light new facts about the ANC’s years in exile. With Ter Harr, Ellis wrote Worlds of Power: Religious Thought and Political Practice in Africa (in 2004). He had nearly completed a book about Nigerian organised crime at the time of his death. Fellow historian Paul Trewhela writes: Stephen Ellis was the first scholar to publish unshakeable evidence that Nelson Mandela had been a member of the South African Communist Party (SACP) in the period between the Sharpeville massacre in March 1960 and Mandela’s arrest near Howick in KwaZulu-Natal in August 1962. After half a century of denial by the ANC, the SACP and their supporters in South Africa and internationally, Ellis proved that Nelson Mandela had been as a member of the Central Committee of the SACP as well as of the national executive Committee of the ANC at the time he took part in the secret formation of Umkhonto weSizwe (MK) in 1960-61. Ellis and Russian historian Irina Filatova were the only scholars to do the necessary work in archives in South Africa and around the world, as well as in interviews with surviving witnesses, to established this as fact. Ellis first published the evidence he uncovered in July 2011 in an academic paper, The Genesis of the ANC’s Armed Struggle in South Africa, 1948-1961, in the Journal of Southern African Studies (37:4). The day after Mandela died on December 5 2013, the SACP issued a statement acknowledging that he had been a member of the central committee of the party. Hugh Macmillan, a research associate at the African Studies Institute at Oxford University, challenged Ellis on the matter. 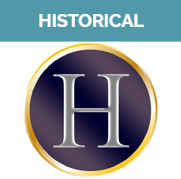 The debate between the two historians was published in January this year in the journal Africa, a quarterly journal issued by Cambridge University Press. Ellis’s final word will be a forthcoming paper in Cold War History, in which he reports further evidence acquired by Filatova from her research in Moscow earlier this year. READ: ANC suppresses real history to boost its claim to legitimacy - by Stephen Ellis (03 Jan 2014) - from the archives of the Mail & Guardian. THE real message of Stephen Ellis’s history of the African National Congress (ANC) in exile—painfully and palpably obvious between the lines—is how the conspiratorial past affects the ruling party to the present day. It makes uncomfortable reading, for it goes some way towards explaining why President Jacob Zuma, a former head of the ANC’s intelligence service in exile, and his comrades now running South Africa find it so hard to embrace the notion that a diversity of opinion and tolerance of dissent must be at the heart of any functioning, decent democracy. In the late 1990s Mr Ellis was a researcher for the Truth and Reconciliation Commission in South Africa, which looked mainly into the multiple abuses by the apartheid regime but was notably less keen to examine human-rights violations committed by the ANC against its own people during its exile, especially in its guerrilla camps in Angola, Tanzania, Uganda and Zambia. “External Mission” is an exhaustive survey of the ANC’s ideological and tactical twists and turns. It begins in 1960, when the ANC was outlawed and driven into exile, and ends in 1990, when Nelson Mandela was freed after 27 years behind bars and was drawn into negotiations with South Africa’s white rulers that culminated in the black majority taking over under the ANC’s aegis in 1994. Whereas Mr Mandela brilliantly handled the transition between his release and majority rule, the ANC’s sporadic and generally feeble guerrilla efforts had almost no role in eventually bringing down apartheid. Labour strikes, home-grown street protests and the refusal of banks such as Chase Manhattan to roll over South African debt were far more effective. ​Mr Ellis insists that the high command of MK came under the direction of the Communists’ central committee. Mr Zuma, a major figure in MK and a long-time Communist, would not have been immune to the sense of paranoia and mistrust that permeated the entire movement in exile. Two aspects of the book are particularly disturbing. The first is the extent of violence, including torture, imprisonment (often in solitary confinement), beatings and executions in the ANC guerrilla camps, along with a perhaps understandable reluctance of the party after 1994 to acknowledge, let alone apologise for, such things. As late as 1984, the ANC executed seven of its guerrillas by firing squad and sentenced another eight to death in Angola’s Pango camp. For sure, the apartheid regime did manage to infiltrate such places with informers; Mr Ellis reveals that several leading lights in the ANC in exile had indeed been turned round by the regime’s intelligence services, and some met mysterious deaths on their return to a free country. But most of the trouble in the camps was caused by the refusal of ANC bosses, especially those who were also Communists, to tolerate dissent. 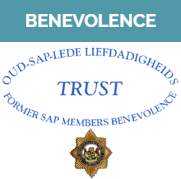 The other worrying disclosure by the rigorously dispassionate Mr Ellis is the manner in which the ANC’s security and intelligence services, during and after the party’s takeover back home, co-opted many of the hard men of the apartheid era’s criminal gangland, both black and white, together with some of the nastier security agents of the white regime itself, including some of the shadiest sanctions-busters. The ANC’s first post-apartheid minister of defence, Joe Modise, was plainly a big-time crook. A culture of corruption clearly permeated sections of the ANC in exile. Back home, with the party in power, it is sadly still rampant. Mr Ellis goes some way to explaining why.